With 110 million members worldwide, Baptists are surpassed only by Roman Catholic and Orthodox groups as the largest segment of Christians. 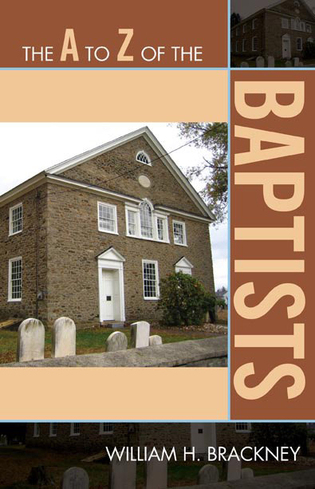 The term "Baptist" has its origins with the Anabaptists, the denomination historically linked to the English Separatist movement of the 16th century. Although Baptist churches are located throughout the world, the largest group of Baptists lives in the Southern United States, and the Baptist faith has historically exerted a powerful influence in that region of the country. William H. Brackney is the author of numerous articles and books; he has held key positions in several institutions, including Baylor University, Colgate Rochester Divinity School, and Eastern Baptist Theological Seminary. Currently he teaches in the area of historical theology and Ethics at Acadia University in Nova Scotia, Canada. Written for both scholars and nonscholars, this second edition is a carefully crafted resource on Baptist heritage, topically arranged and historically thorough. For those interested in the spread of Baptist faith worldwide, this volume will enhance their knowledge and understanding of key persons, events, and issues of importance. . . . Recommended. The author is one of the most distinguished authorities on the Baptists....The overall feel of the volume is not overly academic, making it a good fit for public as well as academic libraries. In 1609, John Smyth baptized himself and others, a daring act that marks the beginning of the Baptist movement. This revised and expanded edition commemorates the 400th anniversary of that event. The bibliography was updated to include useful Baptist websites and to incorporate recent scholarship and publications. Bill Brackney has produced an amazing work, seeking to provide a wide range of entries about Baptists from William Aberhart to Baptists in Zimbabwe…. Brackney has drawn on thirty-plus years of wider Baptist involvement and the insights of friends throughout the world Baptist family to produce this remarkable and impressible volume. William Brackney has contributed a valuable volume—a summary of Baptist principles set in historical perspective in a comprehensive reference work. This book would serve as a helpful guide for a new members' class, for a churchwide study, or for individual instruction. 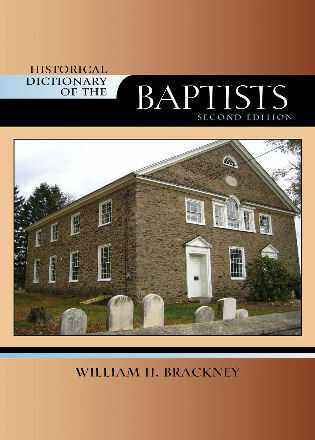 The second edition of the Historical Dictionary of the Baptists expands upon the first edition with an updated chronology, an introductory essay, a bibliography, and hundreds of cross-referenced dictionary entries on important events, doctrines, and the church founders, leaders, and other prominent figures who have made notable contributions. This volume commemorates the 400th anniversary of the founding of the Baptist movement in 1609.